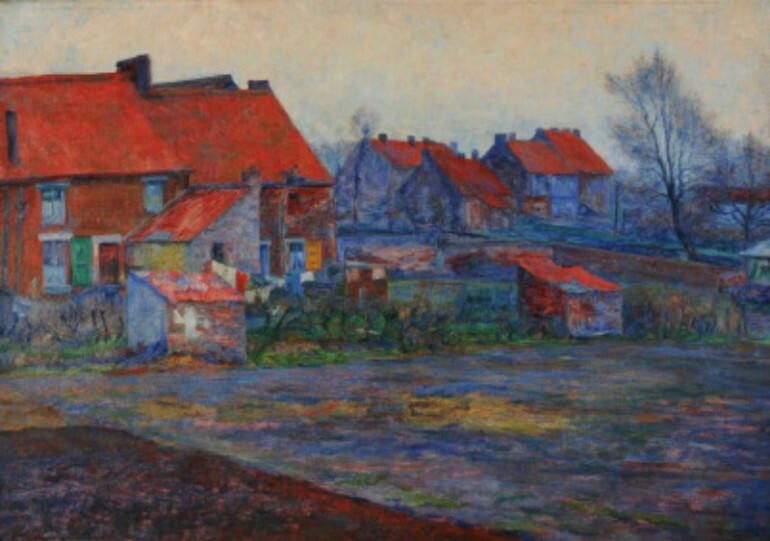 Eugène Boch was a Belgian artist born on September 1, 1855 in Saint-Vaast, La Louvière, Hainaut. He became good friends with Vincent van Gogh, who is considered the best Post-Impressionist Dutch painter after Rembrandt, during their time in Arles, France. Born into the fifth generation of a wealthy family that manufactured ceramics and fine china since 1748, he enrolled in the well-known French portraitist Léon Bonnat’s private atelier in 1879. When Bonnat’s atelier was closed down in 1882, Boch studied at the workshop of Fernand Cormon, where he met many of his painter friends, including Émile Bernard and Henri de Toulouse-Lautrec. His paintings were included in the Salon, the official art exhibition of the Académie des Beaux-Arts in Paris. On the 11th day of August, the idea of van Gogh began to come together. He conveyed his eagerness to paint his artist friend, Eugène Boch’s portrait, and express in the portrait his appreciation and the love, which he had for Boch. And so, in September in the Yellow House in Arles, Eugène Boch sat and let van Gogh finally have the first sketch of the painting that he has been dreaming of for a long time. 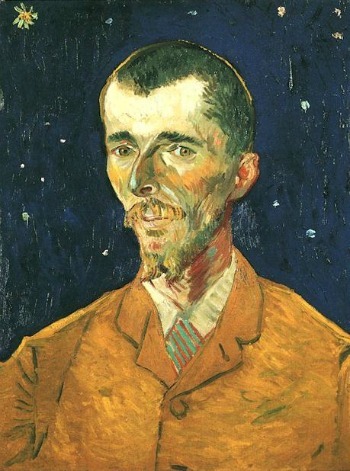 Behind Boch’s head with his green eyes, van Gogh painted a rich blue background with stars for a mysterious effect. While van Gogh considered his work to be only a “sketch”, he placed the portrait in a frame, kept it above his bed, and called it The Poet. Eugène Boch was encouraged by Vincent van Gogh to exchange some works of art. Theo van Gogh documented the exchange of Boch’s painting, “The mine of Crachet and Pecry” given to van Gogh, and van Gogh’s “The Alpilles” given to Boch. Eugène Boch supported talented artists including Émile Bernard and Paul Gauguin, and also exchanged their works. Thus gradually, a great collection of different contemporary art works came together. Boch spent a huge amount on promoting other artists, and he bought works of art mostly from his friends. In addition to his own portrait, Boch owned another painting of van Gogh. In 1892, Eugène Boch settled down in Monthyon, Seine-and-Marne. He married Anne-Marie Léonie Crusfond in 1909, and the next year they moved in to their chalet “Villa La Grimpette”, where they both lived until their death. Boch bequeathed Van Gogh’s The Poet upon his death on January 3rd 1941. Today, the notable portrait is seen at the Paris Musée d’Orsay. Some of Boch’s collection of paintings were bought by Luitwin von Boch, a great nephew who had the idea of making a museum on Eugène Boch and his sister, Anna.